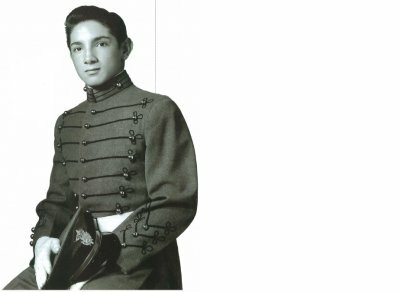 Pedro Rodríguez (born Pedro Rodríguez de la Vega, 18 January 1940 – 11 July 1971) was a Mexican Grand Prix motor racing driver. He was born in Mexico City and was the older brother of Ricardo Rodríguez. The two are sometimes referred to as "The Little Mexicans". The brothers both raced bicycles and motorcycles to become Mexican champions. Pedro was national champion in 1953 and 1954 in motorcycles. 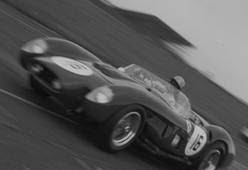 He made his international debut in cars at Nassau in 1957 in a Ferrari, along with Ricardo in a Porsche. He was just eighteen when US Ferrari importer Luigi Chinetti dispatched them to Le Mans at the wheel of a Ferrari 500 TR Testa Rossa. Ricardo did not drive due to age, so Pedro partnered José Behra, brother of Jean Behra. He came back every year to Le Mans, fourteen times in total, where he won in 1968 with Belgian driver Lucien Bianchi in a Ford GT40 of the Wyer–Gulf team. 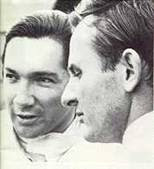 In 1962, Ricardo died in a horrific accident while practicing for the Mexican Grand Prix, and Pedro considered retiring from racing. However, in 1963 he won at Daytona International Speedway and took part in his first Grand Prix for Lotus in the USA and Mexico. He competed in F1 sporadically through 1966 with Ferrari and Lotus. Rodriguez won in only his ninth GP, in South Africa in 1967, and became a permanent fixture in F1, racing for Cooper-Maserati in 1967, BRM in 1968, the private Parnell BRM team and Ferrari in 1969, and BRM in 1970 and 1971, achieving his second victory in the Belgian Grand Prix at Spa in 1970. Rodríguez was considered the best driver of his era in the wet, and after many years racing for Ferrari in the World Championship of Makes (Sports Cars), he signed for the Wyer-Gulf-Porsche team in 1970. He became the two-time world champion driver in the fearsome Porsche 917. He developed into one of the sport's greatest all-rounders, racing CanAm, NASCAR, rallies and even becoming North American Ice Racing champion in 1970. In his NASCAR career, Rodríguez earned two top tens, including a 5th in the 1965 World 600. Along with Jo Siffert, he was considered to be the bravest driver in motorsport, such as the two touching panels going through the then-very narrow and very dangerous Eau Rouge corner in the rain at the start of the 1970 1000 km Spa in their Gulf Porsche 917's. Spa-Francorchamps was reportedly Rodriguez's favorite race track. Rodríguez was killed in an Interserie sports car race at Norisring in Nuremberg, Germany, on 11 July 1971, at the wheel of a Ferrari 512M of Herbert Müller Racing, his Swiss friend and partner at the Targa Florio in 1971.